Dr.Wasim Khot and colleagues at Department of Microbiology, AIIMS, Delhi have reported a case of Afebrile Dengue that has been published in the Journal of the Association of Physicians of India. The case highlights the possibility of afebrile dengue in endemic areas although the exact pathobiology of such newly observed cluster of afebrile dengue is still unknown. Dengue is still the global public health threats and is an acute febrile illness, endemic to most parts of the Indian subcontinent, frequently striking as outbreaks. Majority of patients with dengue are asymptomatic, but FEVER is the commonest presentation in symptomatic patients. A 50-year-old male presented to the hospital with features of diabetic ketoacidosis. He was managed with adequate hydration and insulin therapy. His routine laboratory investigation revealed transaminitis, acute kidney injury and pancytopenia. Further evaluation for haematological and biochemical derangements uncovered positive dengue test (NS1 antigen and polymerase chain reaction assay). Surprisingly the patient distinctively had no history of fever and remained afebrile during the course of the illness. He had complaints of fatigue for a few hours while on duty. The patient was a known diabetic, secondary to chronic calcific pancreatitis, on oral anti-diabetic drugs for last 12 years. He has advised insulin on multiple visits previously but he never complied. He was hemodynamically stable at the time of presentation but was found to have uncontrolled sugars (&gt;700 mg/dl) and high anion gap metabolic acidosis. With a diagnosis of diabetic ketoacidosis (DKA), he was managed with intravenous fluids and insulin. His sugars were corrected within 24 hours of presentation and he was switched to subcutaneous insulin. On routine investigation, he was found to have pancytopenia, elevated liver enzymes, and deranged kidney function. His urine routine showed 3-9 pus cells/ high power field but the cultures were sterile. Chest X-ray was clear. Procalcitonin levels were less than 0.5 ng/ml. Vitamin B12 and folic acid levels were normal. His platelet count fell to 12,000/ cu.mm within two days of admission. 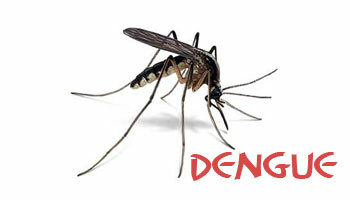 The afebrile dengue is an interesting condition that is rarely mentioned in the literature. The carry home point is that in an endemic area, dengue should always be kept as an important differential diagnosis in patients with leucopenia and severe thrombocytopenia, even in absence of fever, especially during the period of an outbreak. Thank you for Good academic information for practiceners. It is a peculiar case most informative for medical fraternity..
Why it can\’t be the case of MODS(multiorgan drug failure).? ?